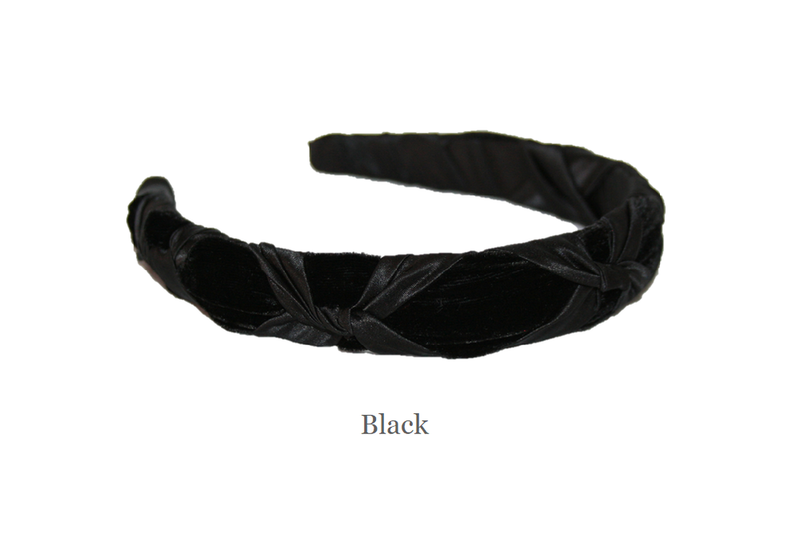 1" velvet headband wrapped with an overlay of soft silk twists. French headband underneath allows ultimate comfort. Shown here in charcoal, beaver and black.